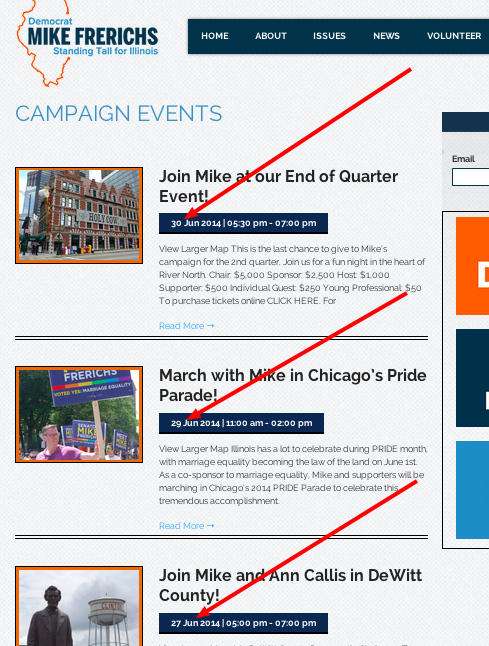 According to Social Media Friend, Mike Frerichs for Treasurer Campaign "Going Nowhere"
But...when you go to that page, it only lists a bunch of old events. As in...they already happened. We suppose that's EXACTLY where "Mike Frerichs is headed next in his run for Treasurer": nowhere. Another social media mistake for the worst.campaign.ever in Illinois.